Hobbits & Hairdye: DIY Grey Hair // feat. Colour Freedom, Crazy Color & Schwarzkopf Live. 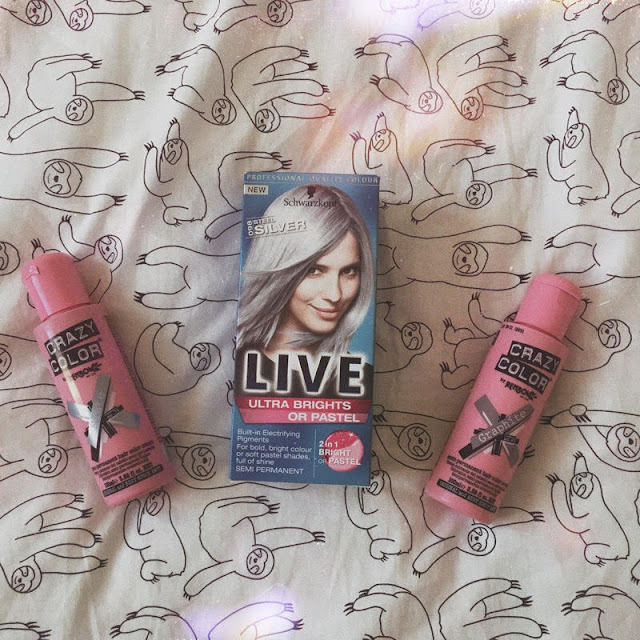 DIY Grey Hair // feat. Colour Freedom, Crazy Color & Schwarzkopf Live. Here we have it guys, a brand new year featuring a brand new hairstyle, is anyone really surprised? I knew I wanted 2018 to start with bold new hair. The cut was something I'd been wanting to do for a long time but hadn't quite felt brave enough to commit to. I have a whole post coming soon talking about the reasoning for the hair cut so keep an eye out for that, today, however it's about the colour. Grey is one of the colours that has been massively on trend recently, which is one of the things that both captivated me and deterred me. 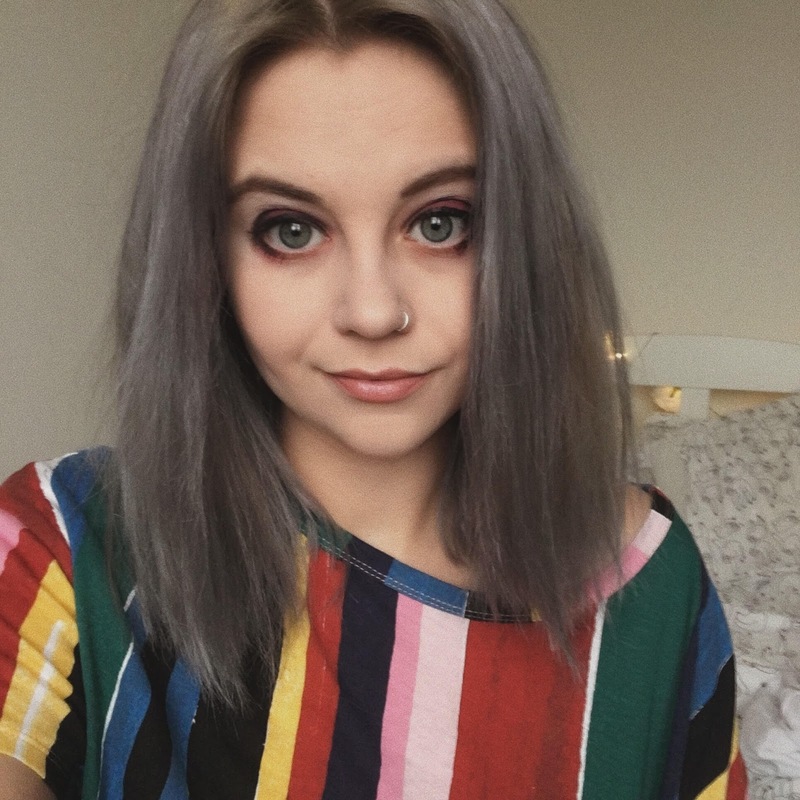 It's been awesome to see so many people's interpretations and different variations of grey and silver hair, but at the same time I didn't necessarily just want to follow the crowd. And due to unplanned events I feel like I have ended up with quite a unique colour which I'm unbelievably happy with. I started the hair dyeing process by using Crazy Color's Slate & Graphite and mixing it with Schwarzkopf Live's Steel Silver. 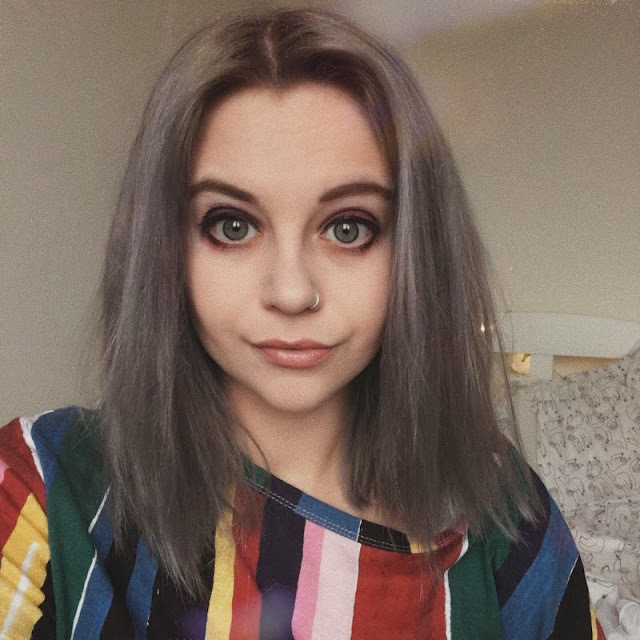 I wanted to mix dyes together to make the overall colour a bit more of a unique and darker toned grey rather than a silver grey. I've used Schwarzkopf's colour range before and have always been so happy with how the colour turns out, the colours are always so vibrant and the dyes don't leave your hair feeling too dry. It was my first time using Crazy Color but after hearing so many positive things I opted to give them a try as they were pretty cost friendly and had a huge range of colours. I picked 'Slate' and 'Graphite' because they were not only quite dark toned greys but they also had a slight tone of purple in them which I thought would give the colour good depth. Once I mixed the dyes together to create a colour I was happy with I put the dye on my hair and left it on for half an hour to allow the colour to fully saturate my hair. Upon washing and drying my hair I discovered that all hadn't gone 100% to plan; the overall colour of my hair had gone quite a nice silvery grey apart from the front of my hair which I'm guessing is the most damaged which had in fact gone a pretty bright blue. It didn't look terrible but it wasn't the most ideal situation. 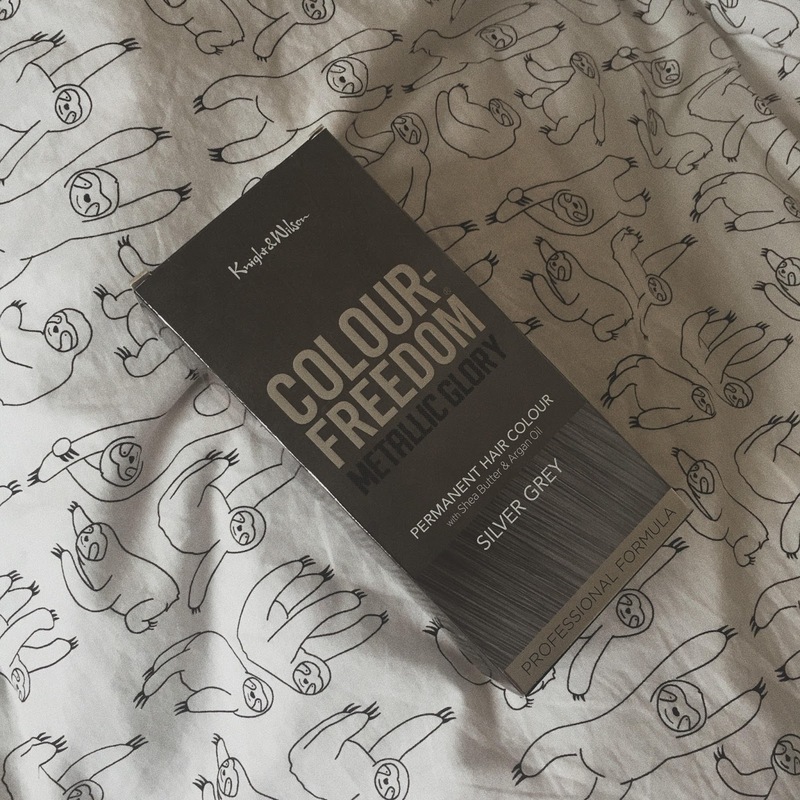 In order to rectify the situation I picked up a packet of the Colour Freedom Metallics range in Silver Grey. Colour Freedom is one of my favourite artificial colour brands as the dye's go such a long way and the colours always turn out so beautiful. This one definitely saved the day. I'm now left with this really cool kind of blue toned dark grey which I'm so happy with, it's such a different colour to anything I've had before and I'm also really excited to see how it will change as the colour fades. My biggest tip when dyeing your hair grey is to try to ensure you start the process with as much of a blank canvas as possible, really light blonde - almost white hair to ensure the brassiness or other colour doesn't counteract the grey tones - as you can see the top of my hair still has a bit of warmth left in it which is showing through. I would also ensure you leave it on for exactly the amount of time that it suggests as I left my first batch on a tad longer than recommended and I have a feeling that's why it turned out so blue. I would thoroughly recommend trying all three of these brands out if you haven't already and are looking to try a new colour. I've used the Schwarzkopf live and Colour Freedom dyes before so I'd be interested to see how different colours of the Crazy Colour dyes would turn out. What's your favourite hair dye brand? 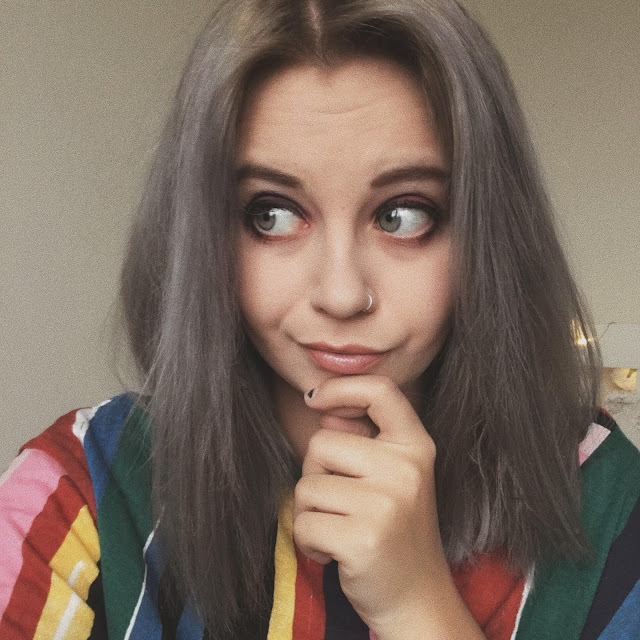 Would you be brave enough to try grey hair? What colour should I go next?